Former First Lady and First Mother Barbara Bush blamed Donald Trump for her heart attack in her upcoming book. Barbara Bush died in April 2018. 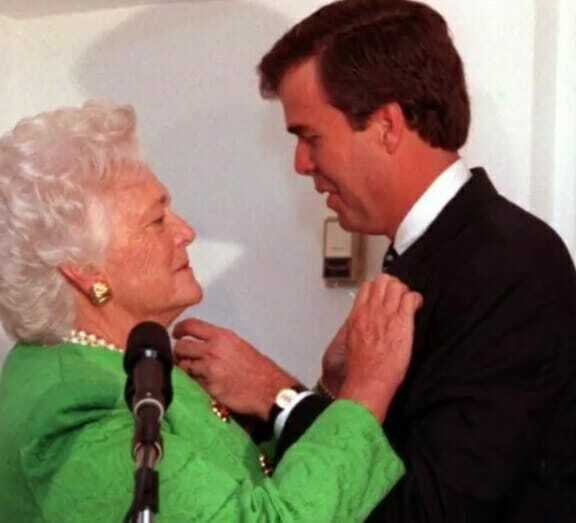 Barbara Bush did not vote for Trump in 2016. George H. Bush voted for Hillary Clinton. This is a disgraceful attack on Republican President Donald Trump by the Bush family. Barbara Bush spoke with liberal reporter Susan Page, the Washington Bureau Chief for USA Today.